At Des Moines Dental Center, we can provide you with information regarding post-op care for dental implants. This is the most durable and natural-looking way to replace your missing teeth. When you visit our Des Moines, WA dental office, we can conduct an examination, take X-rays, and let you know what to expect from the implants procedure. This also includes what to expect during your recovery process. For more information, we encourage you to call (206) 408-8541 and schedule an appointment with Dr. Steven Reeves. In the meantime, here is what you should know. 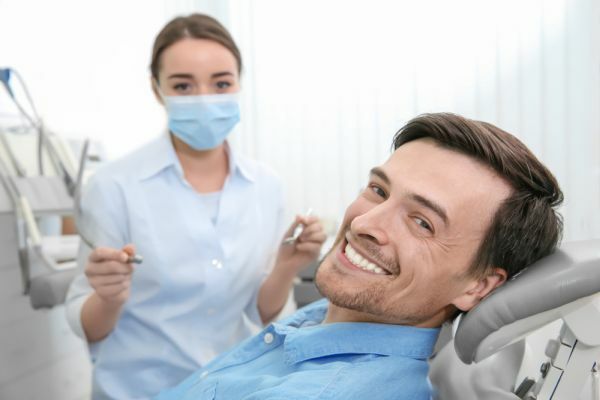 Prior to getting started, Dr. Steven Reeves will conduct an examination to determine if you have cavities or infections in any of your other teeth or if you have gum disease. If so, these things will need to be treated prior to placing implants. It is critical that you start the process in good oral health. This initial exam and X-rays will also determine if you have sufficient bone density to support dental implants. If you do not, you may need a bone grafting procedure prior to getting started. Yes, certain medications such as ones for osteoporosis for bleeding may impact the recovery. However, this will not have an impact on your new implant. No special precautions are needed. Make sure you have a good breakfast. And take any prescribed medicine. At Des Moines Dental Center, we recommend you eat soft foods that are not too hot or too cold. For example, you should buy yogurt, soft cheese, ice cream, soup to eat at a warm temperature, and fruit to make smoothies. This way, you can receive the nutrition you need without irritating your gums. You can slowly begin to add normal food back into your diet, but should avoid eating anything hard, sharp, or difficult to chew for a day or two. Check out what others are saying about our implant support services on Google: Post-Op Care for Dental Implants Des Moines. We will provide you with gauze if needed before you leave our Des Moines, WA dental office. Before you leave, Dr. Steven Reeves will ensure that any bleeding is at a manageable level, and by using gauze it should stop. You also need to take steps to keep your gums clean, so we may provide you with a medicated rinse. Otherwise, you can rinse your mouth with warm salt water throughout the day. You should also brush your remaining teeth, but be careful not to irritate your gums while doing so. You should be able to go back to work the next day with little or no discomfort. In most cases, there will be no outward appearance. If it is a front tooth, a removable appliance will be used to replace the missing tooth. Once the titanium implant and your jawbone have fused together, your jaw will provide a base of sturdy support for your replacement tooth. Essentially, it will be as strong as a natural tooth would be. You may feel some slight sensitivity in your gums, but this will be minor and easy to control with ibuprofen. To learn more about post-op care for dental implants, call 206-408-8541 and schedule an appointment with our Des Moines, WA dental office. Dr. Steven Reeves will be happy to answer any questions you have, so you can be confident in your decision to get started. © 2019 Des Moines Dental Center. All Rights Reserved.